(Lucknow, Feb 12, 2019): Tata Motors will supply 40 electric buses to Lucknow City Transport Services Ltd (LCTSL) in a phased manner in four months, the company has said. "The electric buses are air-conditioned, have modern interiors and comfortable seats for 31 passengers. As an industry first, there will be air suspension for both front and rear axles to make travel more comfortable for the commuters," the company said in a statement. The first such bus was flagged off here on Sunday by the state''s Urban Development Minister Suresh Kumar Khanna. "The government of UP has a clear focus on revolutionising transportation with sustainable, affordable and safe mobility solutions for the masses. We have collaborated with Tata Motors to bring to the people of Uttar Pradesh state-of-the-art electric buses which will transform the bus travel experience with smarter, safer transportation, while providing a clean environment to the residents," Ajeet Singh, joint director at Urban Transport Directorate said. The bus will ply from Alambagh bus terminal to Gomti Nagar, he said. 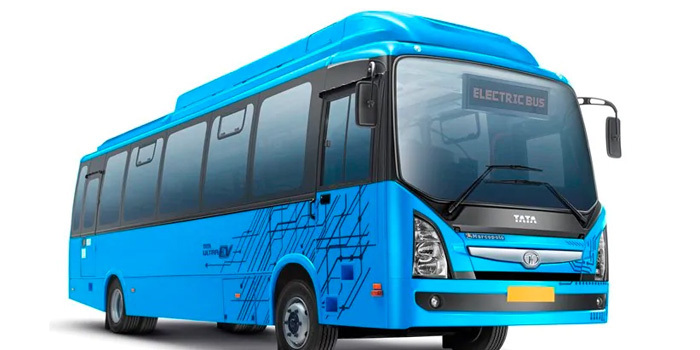 "Tata Motors has always been at the forefront of the e-mobility evolution and this order is a testament of our best-in-class solution tailored for the bus segment in India," Rohit Srivastava, vice-president and head (buses), Tata Motors said. Manufactured at Tata Motors and Tata Marcopolo Dharwad plants, the ultra electric buses will have a travelling range of up to 150 kilometers on a single charge. The company has tenders to supply 255 electric buses to six public transport undertakings including WBTC (West Bengal), LCTSL (Lucknow), AICTSL (Indore), ASTC (Guwahati), J-K SRTC (Jammu) and JCTSL (Jaipur). In addition to this, the company is also working on developing its electric mini-bus segment in the near future.